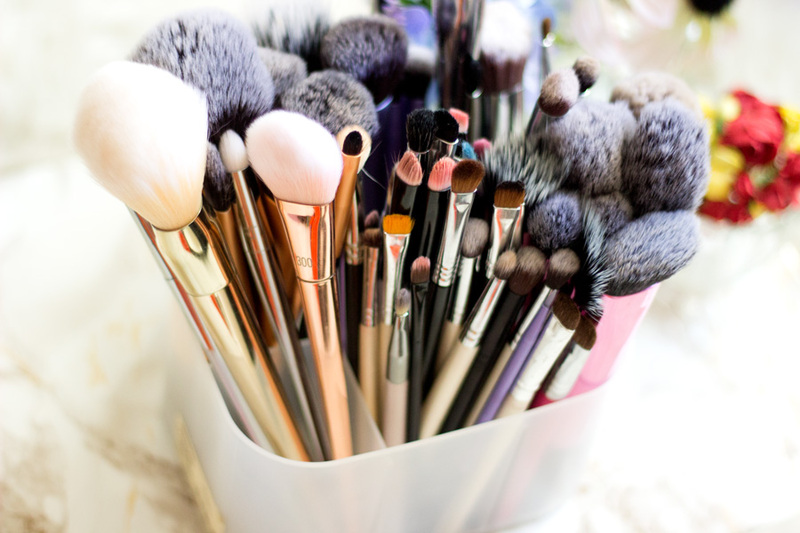 I feel like I have a huge collection of brushes especially for a non-makeup artist. 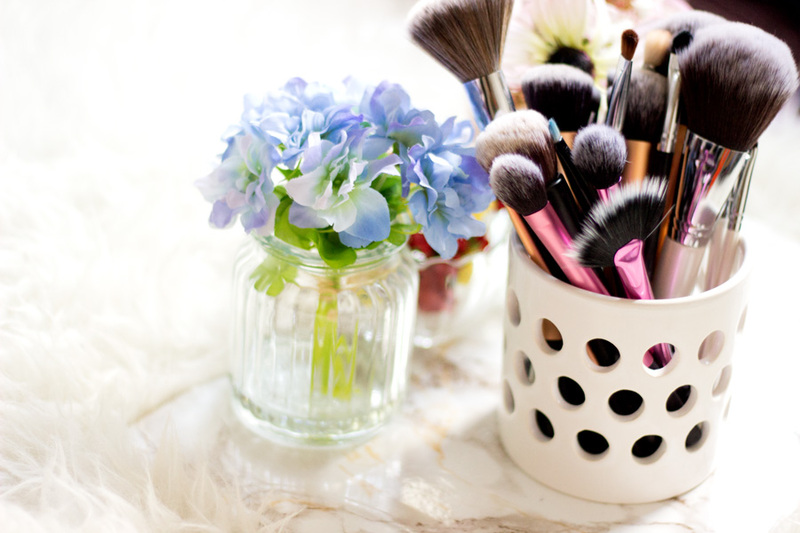 Obviously I am a blogger so I am quite crazy when it comes to beauty and makeup. Some of these brushes were purchased by me while others were sent to me. 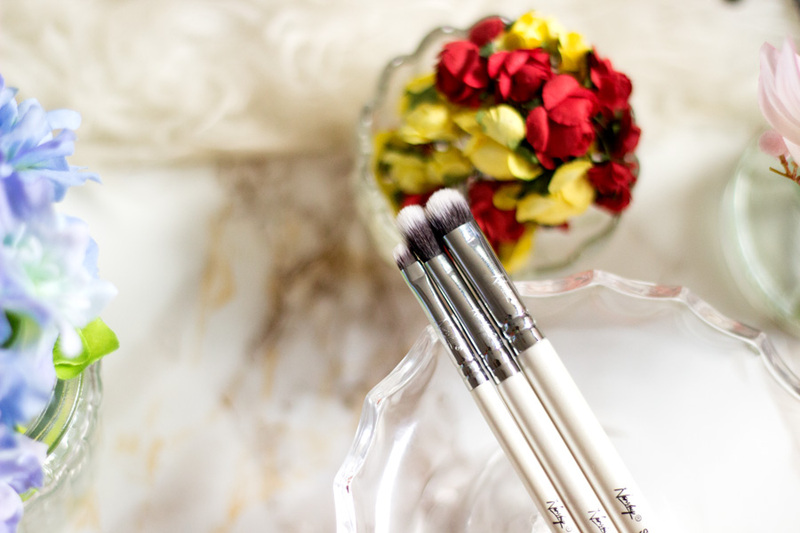 I love all my brushes as they allow me the freedom to use a different brush almost every day. I do wash my brushes every two weeks and I am so thankful and lucky to have a lot of brushes which allows me such laziness. 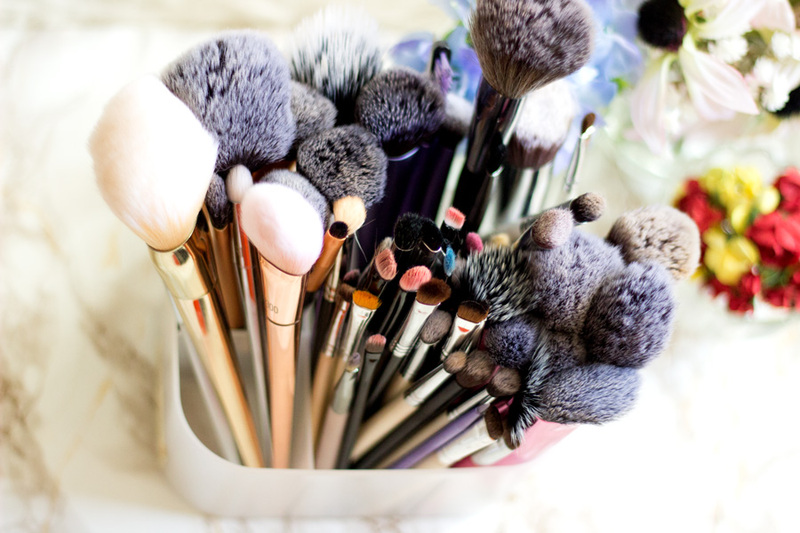 This picture above is not even my entire brush collection at all (I am a crazy brush girl!!!) but I do plan to do a brush collection post (when I have the energy to take all the photos). I feel like eye brushes can make or break many an eyeshadow look. If you have the right brushes and right technique, you can slay an eyeshadow look. I feel like even the right technique and wrong brushes can still result in disaster. 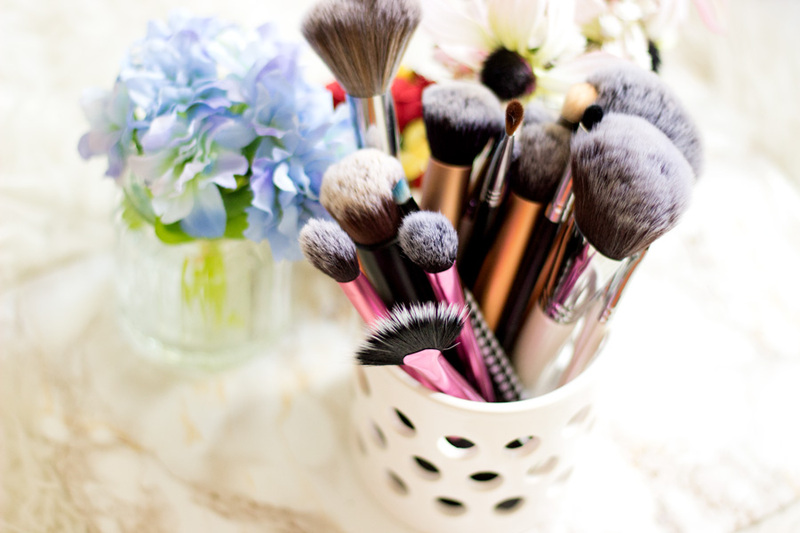 Bottom Line- Makeup brushes especially for the eyes are essential but you don't need a lot as many eye brushes are multi-tasking. 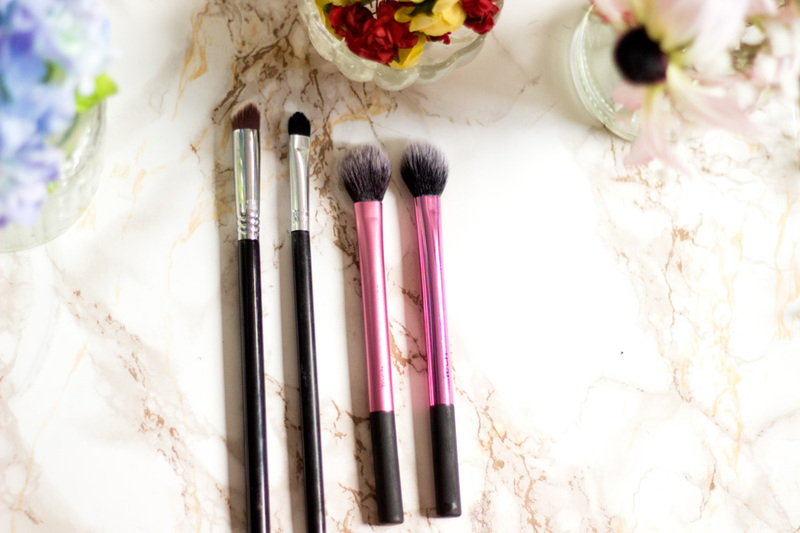 MAC 217 Blending Brush- I have a dedicated post on here on my MAC 217 Review and MAC 217 Dupes if you fancy a read. Let’s just say it is very hard to beat a MAC 217 brush. It is absolutely amazing and blends like a dream. I use this brush every day and I would always travel with it. It can be used for one-wash eyeshadow colours, blending crease and even depositing colour. It’s an amazing all-rounder. 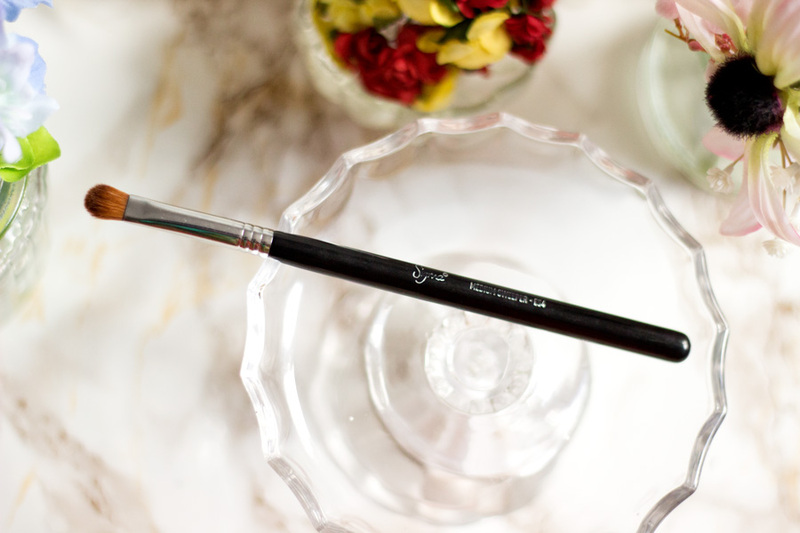 Real Techniques Essential Crease Brush- This RT brush is indeed my absolute favourite crease brush and I always use it every day. It fits so well into my eye crease and picks up the right amount of product. It has a slight dome shaped and it has remained so fluffy after many washes (and years). It can work as a blending brush as well but I think it is sadly only sold in a set. Wilko Slanted Eyeshadow Brush: I don't even remember the actual name of this brush but I just love it and I have quite a few back ups. I think it was originally designed for gel eyeliner but I prefer to use it for my brow gels because it is just the perfect size and slant. I usually outline my brows with a pencil and then fill them in with a brow gel (ABH Brow Pomade, MAC's Dip Down or NYX Tame and Frame Pomade) using this Wilko Beauty. It picks up the right amount of product every time and it has never let me down. It's under £2 and it lasts for a super long time!! Nanshy Angled Detailer Brush*- I have tried many flat angled brushes which have let me down so many times. However, this Nanshy Flat Angled Brush is the best I have ever used. It is the right size for my hands and for application. Its bristles are not too soft or firm and it perfectly deposits whatever product is used on it. I mainly use it to apply my concealer on my brows (to neaten it up) and it does the best precise job ever. I love it so much. I have a whole post dedicated to my Nanshy Brush Collection here. 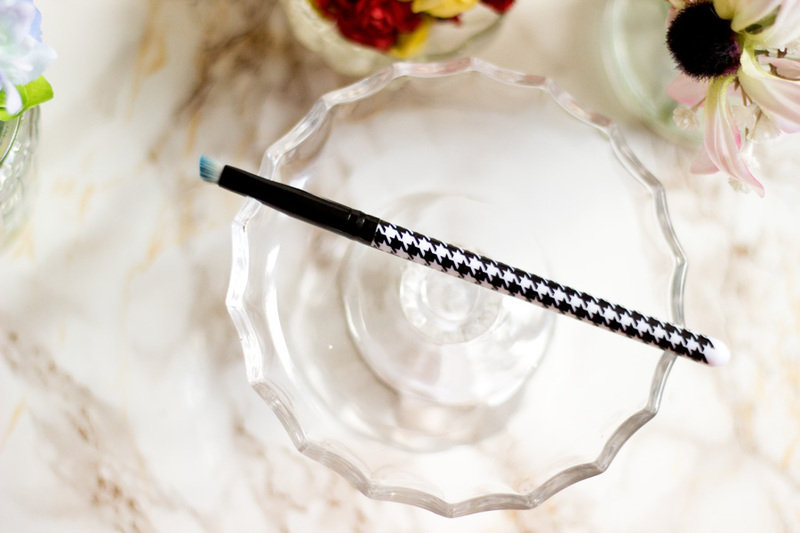 Nanshy Blending Brush*: I think Nanshy makes one of the best reasonably priced eye brushes in my opinion. 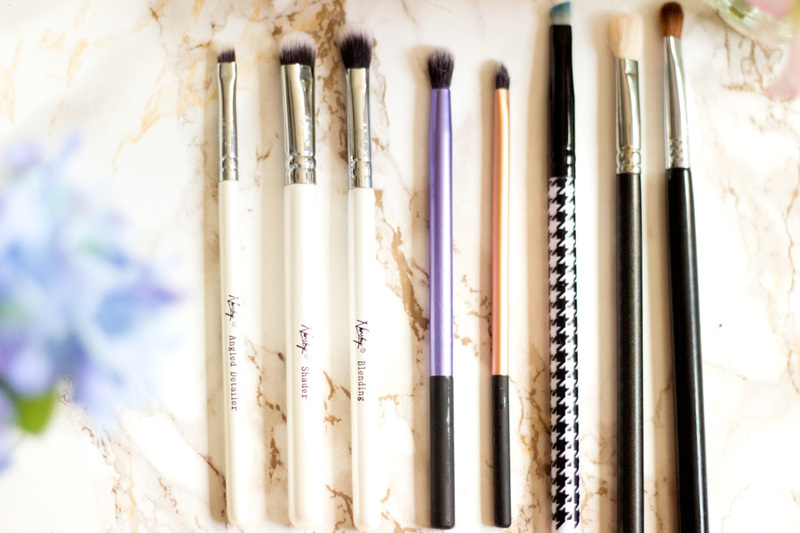 I love all the eye brushes I have tried and they come in so useful. 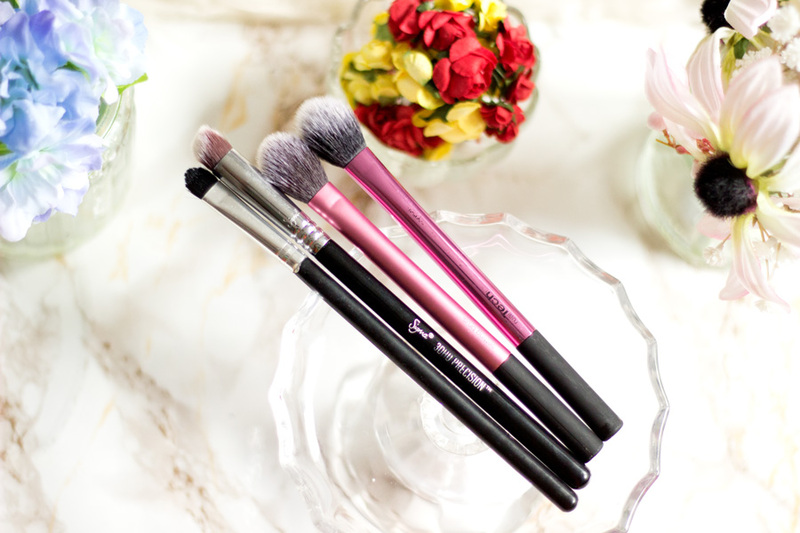 The blending brush is one my favourites because it has such fluffy tapered bristles but with good control. I use this just before I go in with my MAC 217 Brush. If you don't own the MAC 217 Brush, this is a good dupe for it (although they don't look alike physically) but it works really well. Nanshy Shader Brush*: I don't use this brush everyday but I use it a few times during the week. It is my perfect brush for applying cream eyeshadows (especially my Maybelline Color Tattoo) and it does a spanking job. It is quite a densely packed brush which I love so it packs on a good amount of cream shadow. I flip it to the other side and blend it in and it's just perfect. One thing I love about is how easy it is to wash/clean. I have used some other shader brushes with cream eyeshadows and it is such a pain to get them off but the Nanshy one is so easy with minimal effort. 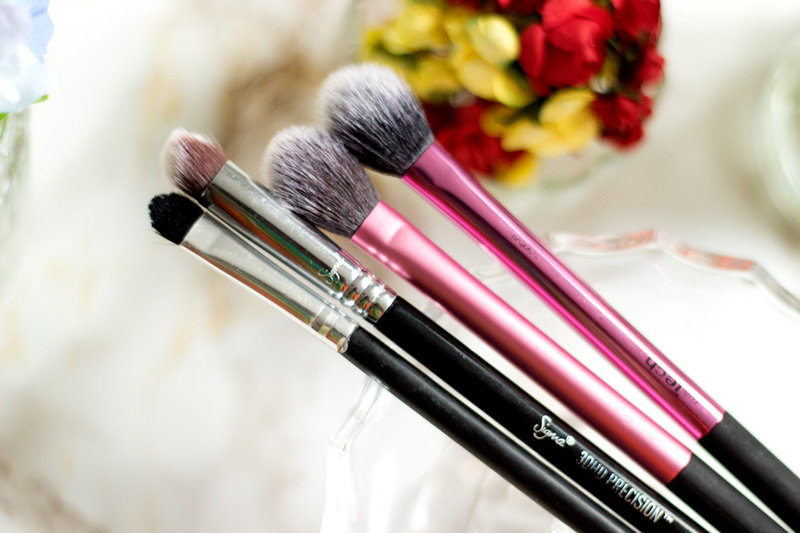 Sigma Flat Shader Brush (E54)*- I have been on the haunt for the perfect flat shader brush for depositing eyeshadow on my lids and I am so glad I got to try the sigma version. This is also by far my favourite Flat Shader Brush as it has the right density to deposit my eyeshadows with the right intensity. It is just perfect, easy to wash and dry and fits well on my lids. It’s bae!! Real Techniques Detailer Brush- I have several little backups for this brush and I absolutely love it. 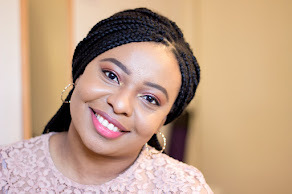 It can be used for a variety of functions including applying a highlight to the brow bone (my preferred way), applying highlight to the inner tear ducts, pin point concealing, etc. I just love how tiny and precise it is and it never lets me down. 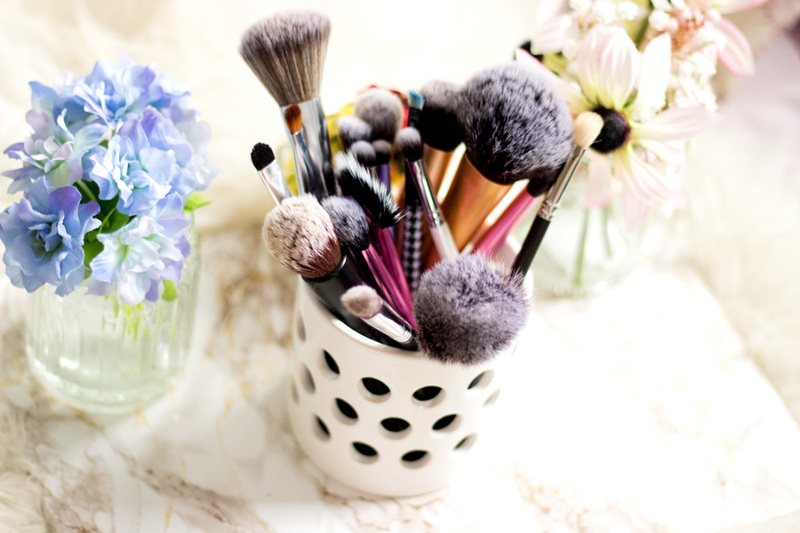 I love to use a good concealer and setting brush because they make my makeup look flawless. 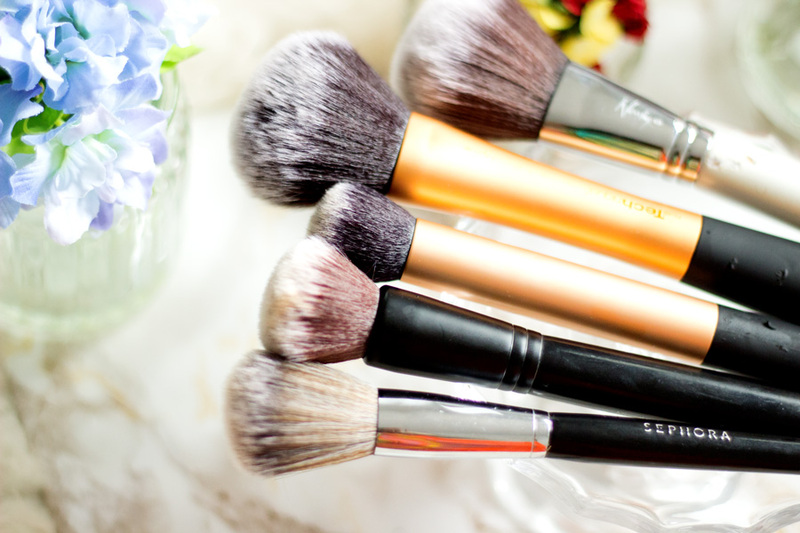 I have been using the same set of brushes for a pretty long time and they do such an amazing job. 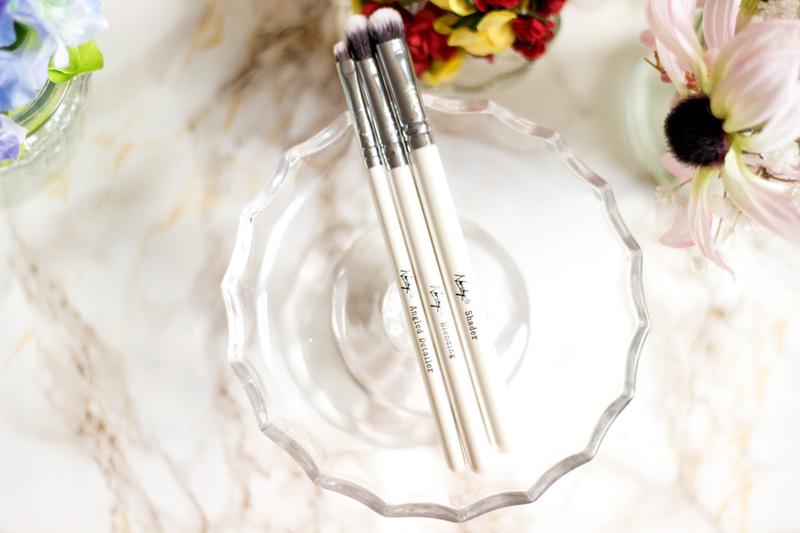 If you find a good set of concealer brushes, hold on tight to them because they are pretty hard to come across. 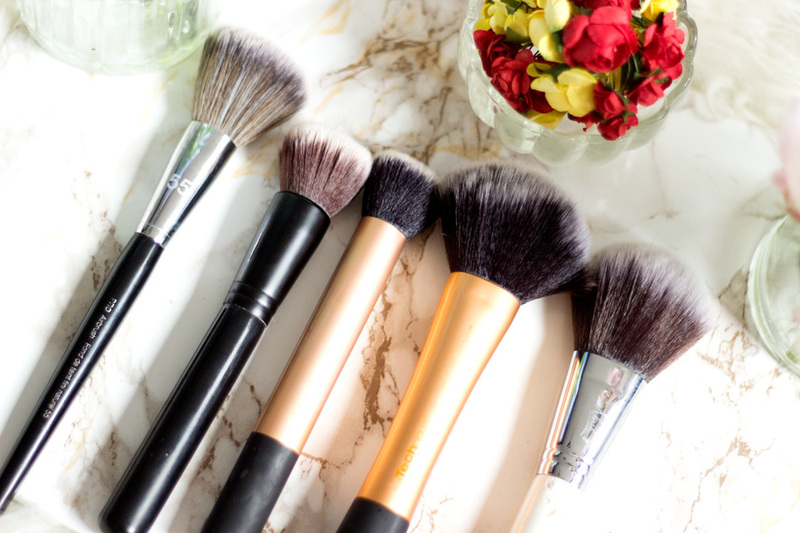 Real Techniques Setting Brush: Where do I even start with declaring my love for these brushes? They are just the besst setting brushes I have ever used. You would notice that I have two of them; one is sold on its own and the other is sold in a set (The Sculpting Set). They both look alike and work in the same way but the one that came in a set has a shinier finish and the bristles are slightly flayed out. 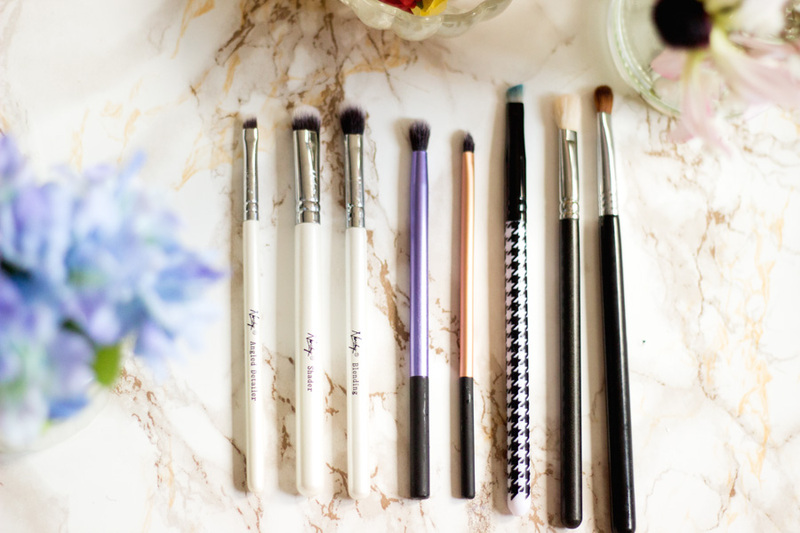 They work so well at blending and setting my under eye concealer and I have not used any other brush that works in the same way. They can also be used to apply concealer on other parts of the face but I prefer to use it for blending and setting my under eye concealer. Sigma 3D HD Precision Brush*: I only started using this brush last year but I absolutely love it. The unique 3D shape means that it gets into any nooks and crannies so easily. I love to use this mainly for my blemishes on my cheeks and forehead and it works so well. 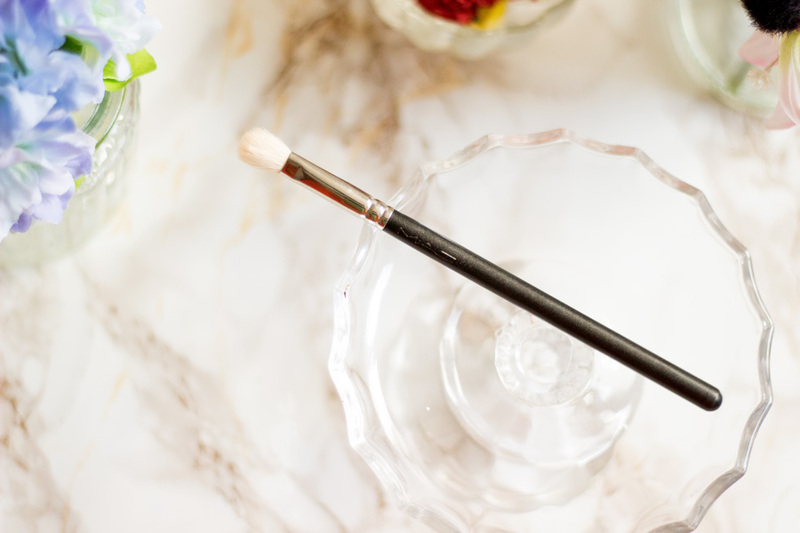 As the name suggests, it is really a precision brush and the way it applies my concealer and blends it out is super seamless. Unbranded Ebay Brush: I have no idea what set I got this brush from but I love it so much for pin point concealing. It is the perfect size and I just use proper tapping motions with my beloved Laura Mercier Secret Camouflage Concealer and I am done. I think it may have originally been an eyeshadow brush but I love it for concealing. I also use it to clean up my eyeliner if I have made a mistake because it is ever so precise!! Love it!! I know many people skip contouring and highlighting for an everyday look but I just love it. I don't do a severe contour or highlight on an everyday basis rather I just add some definition to my face. I just find it really brings my look together and it takes less than a minute because I already know what angles work best on my face. 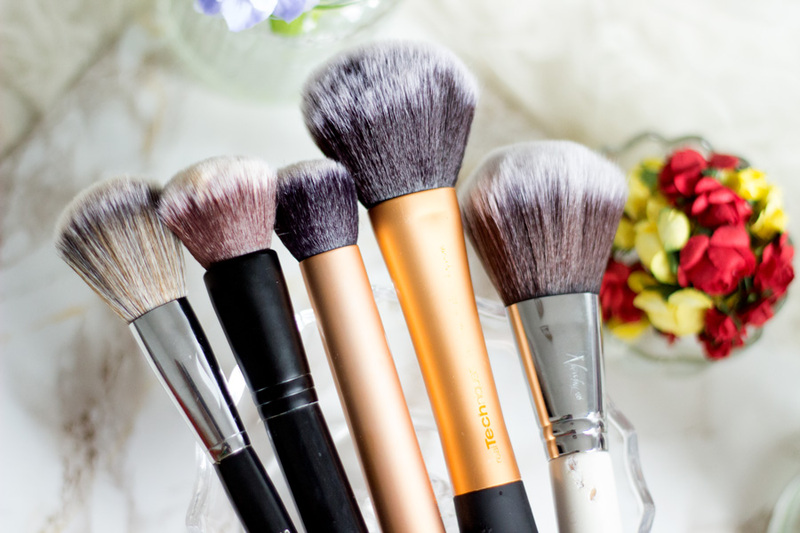 Real Techniques Contour Brushes- I have tried various shapes of contour brushes but I always come back to my Real Techniques Contour Brush. I guess I am a little sentimental about it as it was my first brush that I used for learning how to contour. It holds a pretty special place in my heart. I have a few backups of this brush because it’s just lovely. I also have two other Real techniques brushes for contouring my nose- RT Shader Brush and Precision Brush. They are eye brushes but they are perfect for contouring my nose. I use the smaller one to outline my nose contour and the larger shader brush to blend it all out for a natural finish. 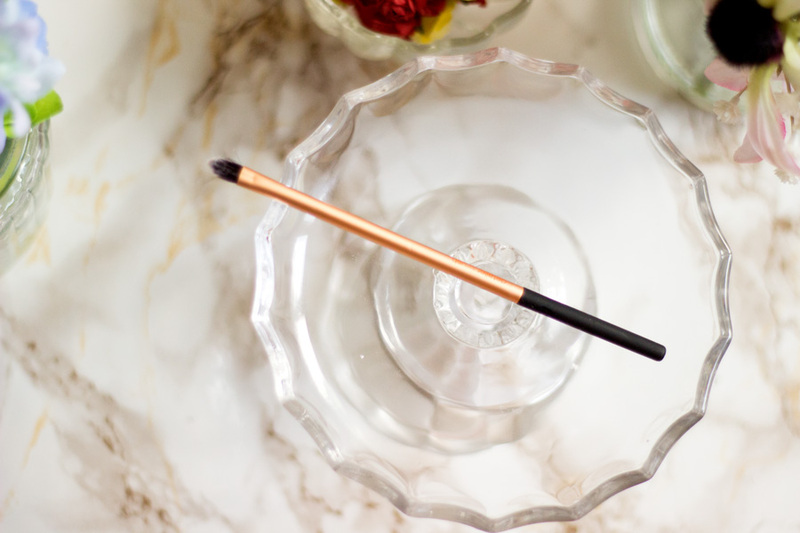 Real Techniques Fan Brush- I know a Fan Brush may raise a little eye brow as an essential everyday brush but it is for me. I have become a highlight freak lately and I am so glad I got this brush when I did. I do want to get to try more highlight brushes and my good friend just ordered the Morphe Highlight brush for me*dances uncontrollably*. I love to use my RT Fan brush for my highlighter and it does an amazing job at picking up the right amount. I always go in with a light hand and light sweep across my face because I don't want to look like a disco ball and this brush does the job well. Real Techniques Buffing Brush- After all these years, this is still my favourite buffing brush ever. I love everything about it down to the fluffy bristles. I use this mainly for my foundation and it does an incredible job. It can be used to buff in foundation or just apply it with tapping motions. 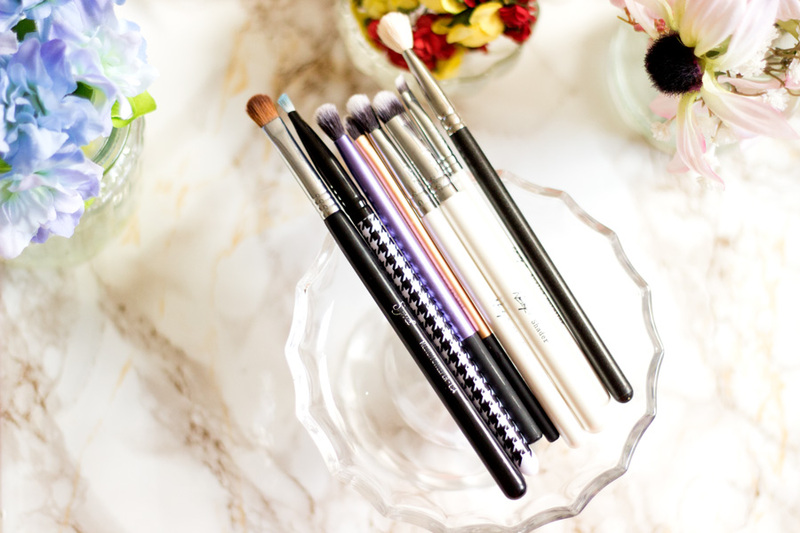 There are other Buffing brushes that work so well including the Sephora Multi Task Brush, Wilko Short Stippling Brush, etc. Sephora Pro Air Brush #55- This is hands down one of my favourite multi-functional brush as it can be used for almost everything face. It can be used for tinted moisturisers, BB creams, light bases, flawless powder, foundation and blush. I use it mainly for my blush and I absolutely love it. I can’t believe how beautiful Sephora brushes are and their quality is incredible. 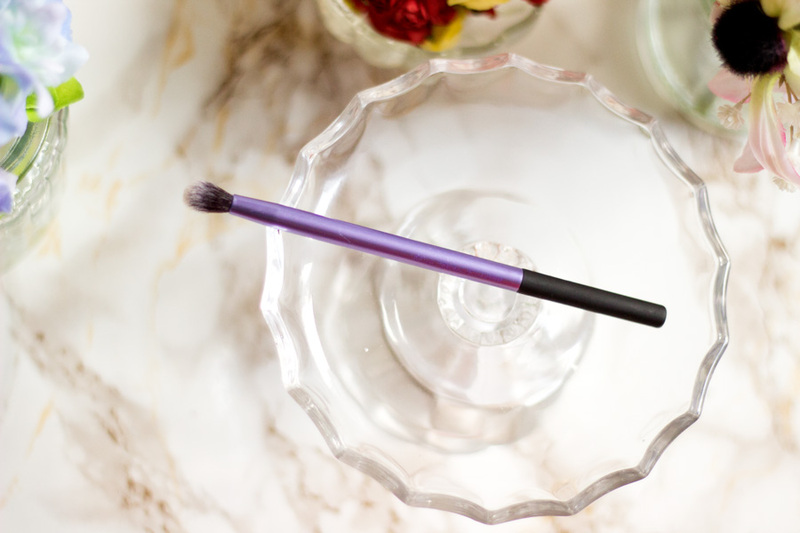 Nanshy Powder Brush- Say Hello to the fluffiest brush you have ever encountered. 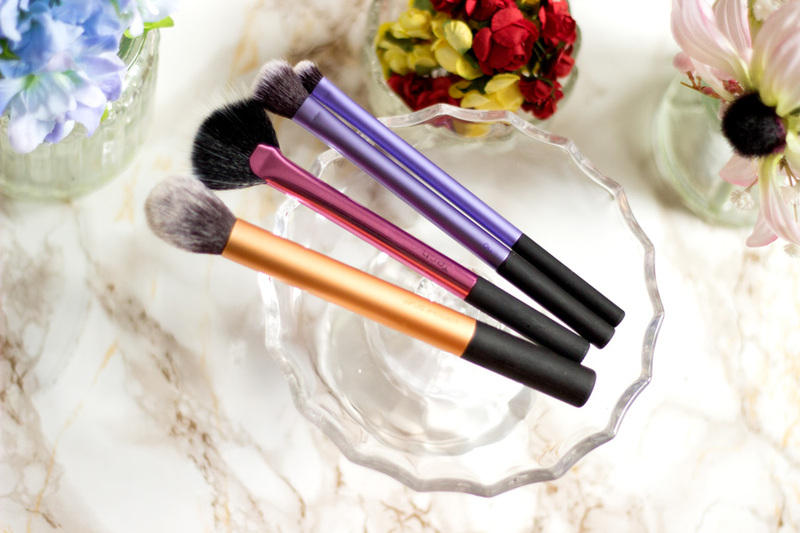 I love the Nanshy Powder Brush because it has such a wide surface area and flawlessly applies my powder. There is no sign of cakey makeup in sight. I have had this brush for more than a year with numerous washes and it has still remained fluffy and soft. I also love my Real Techniques Powder Brush which is also super fluffy and I interchange them through the week. 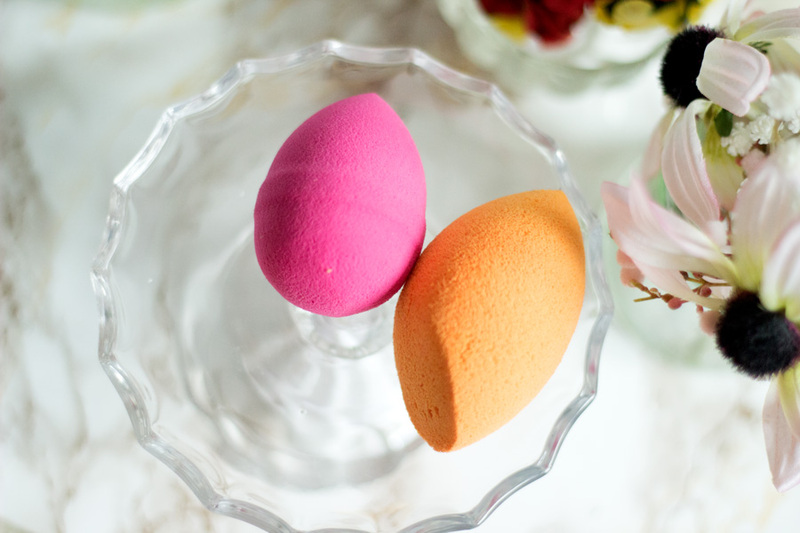 I recently fell back in love with my Beauty Blenders and I cannot get over them. I abandoned them because they were getting a little too difficult to keep clean but ever since I discovered the Lottie London Solid Brush Cleanser, I have been over the moon. I actually wash my Beauty Blenders everyday because I honestly can't bear to use a dirty one and it takes me less than a minute. 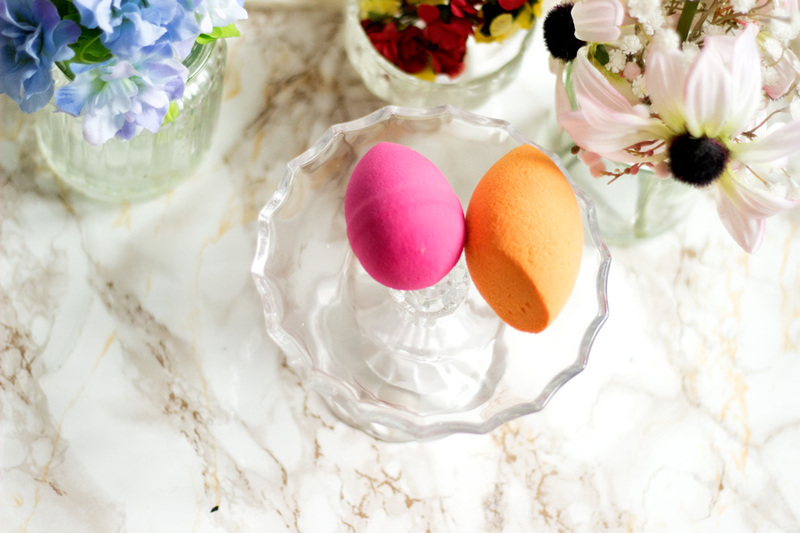 Beauty Blenders just give you the perfect flawless finish although they take a little longer. I still reach for them often and now I want to get the black one!! I know some people may be thinking this is still a lot of brushes and I agree. I just can't reign it in but compared to my entire stash, this is quite a little round up. 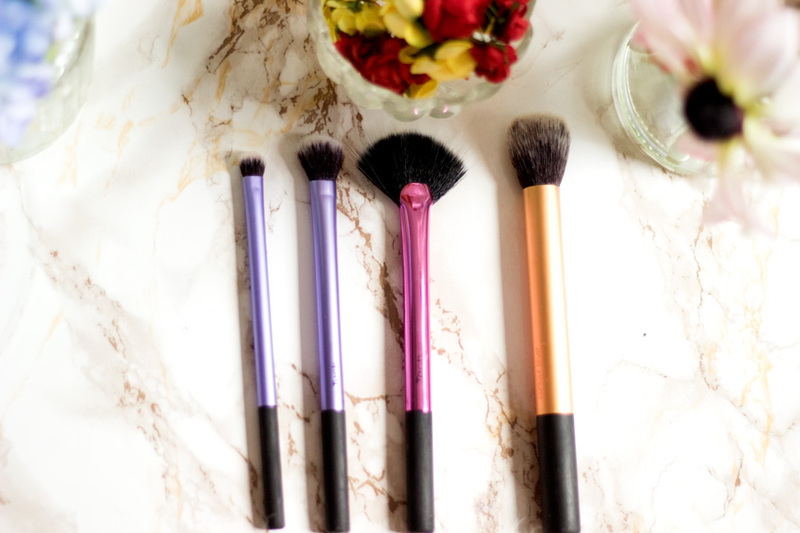 I just love to put on my makeup with these tried, tested and trusted brushes. 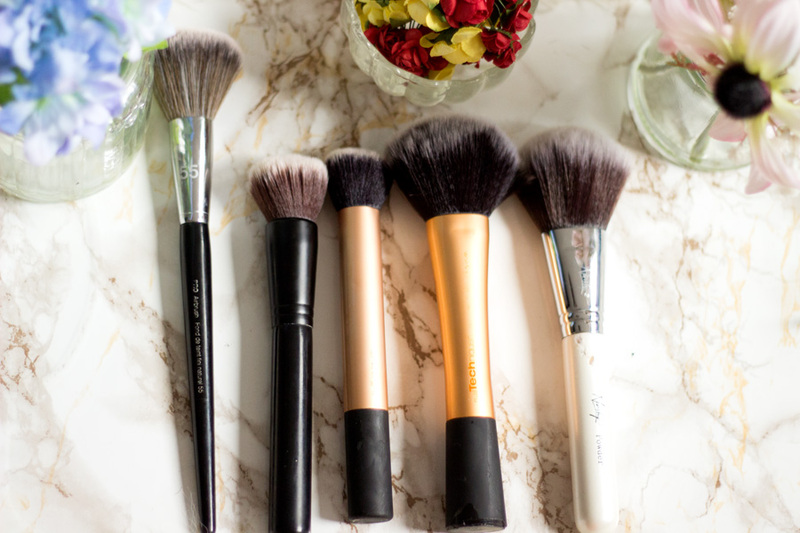 On weekends, I can retrieve my other brushes and use them but on weekdays when I am rushing off to work (and wearing makeup), I just grab these babies. 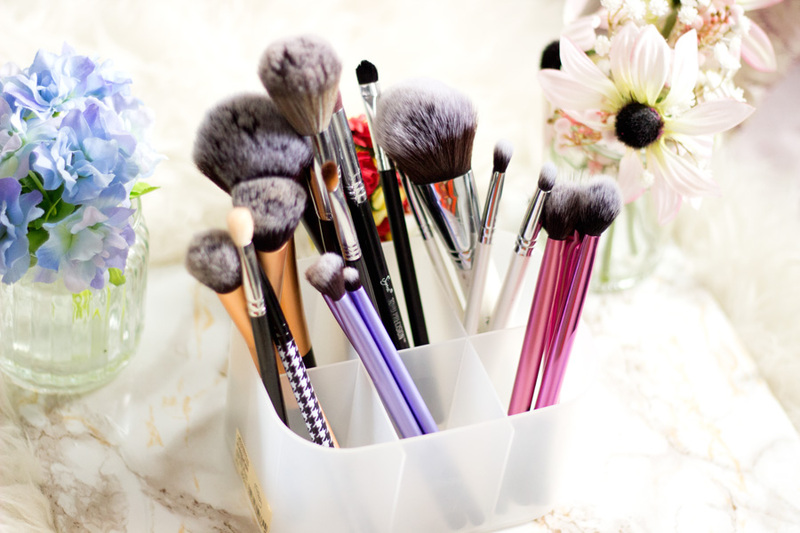 I prefer to store my essential brushes in one holder. I was using the Muji Insert for my essential brushes and it worked well as it had different compartments. However, it was not as compact as I wanted. I recently put all my essential brushes together in this beautiful Tiger Candle Holder which my friend Karl got for me and it's the best brush holder ever. I know it looks way too large to be a candle holder (and I asked him repeatedly "are you sure this is a candle holder??!!!"") but it totally is. 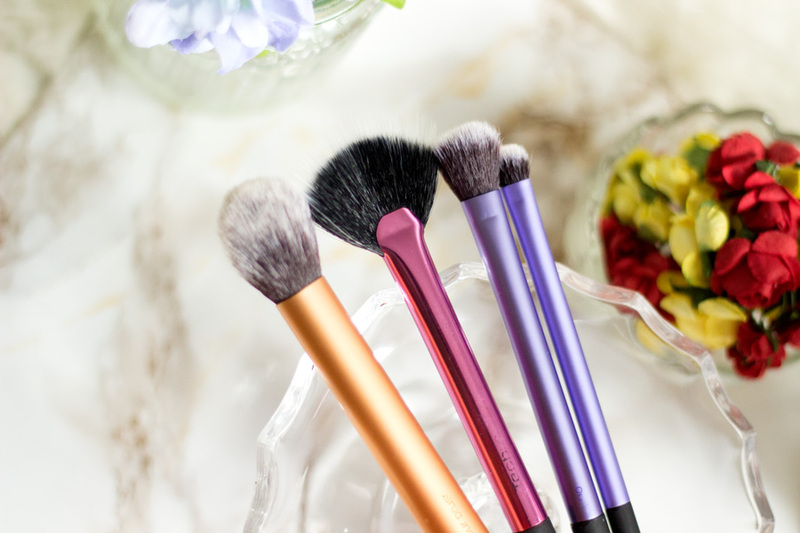 It just make things easier for me and I have all my favourite brushes in one place for an easy reach. That's pretty much my round up. 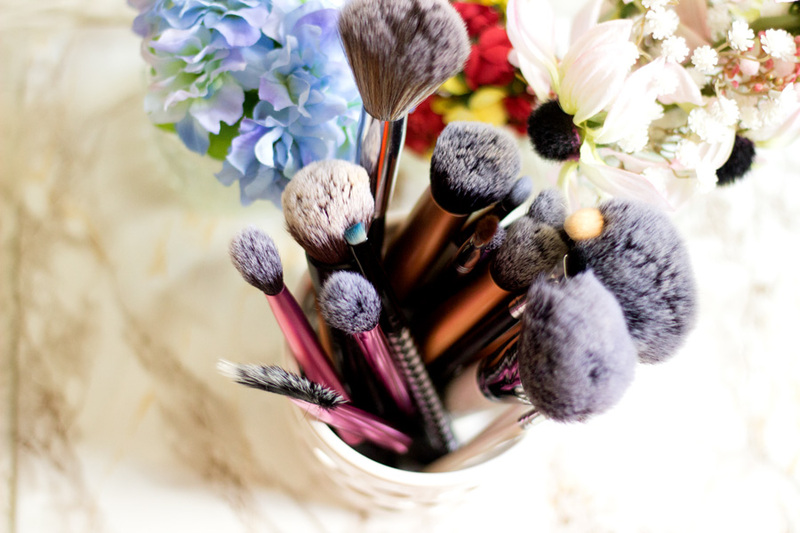 What are your essential makeup brushes? 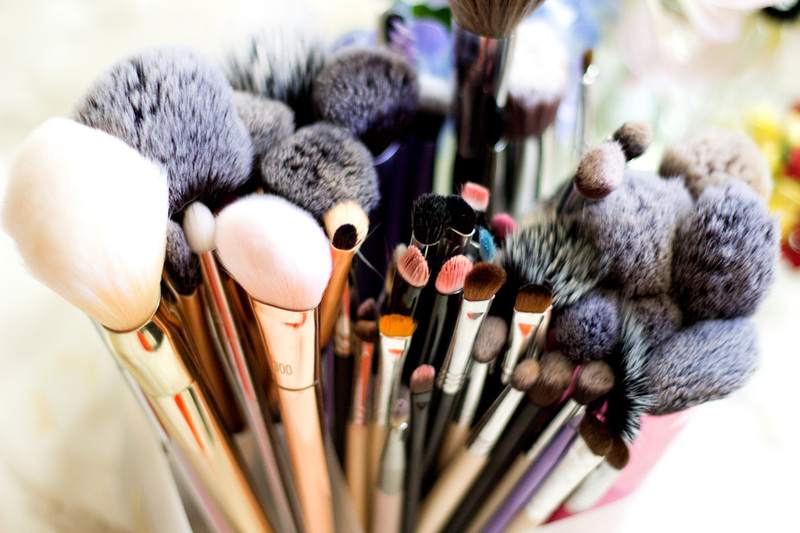 Great!this is an eye opener to all the one million brushes I never knew existed. 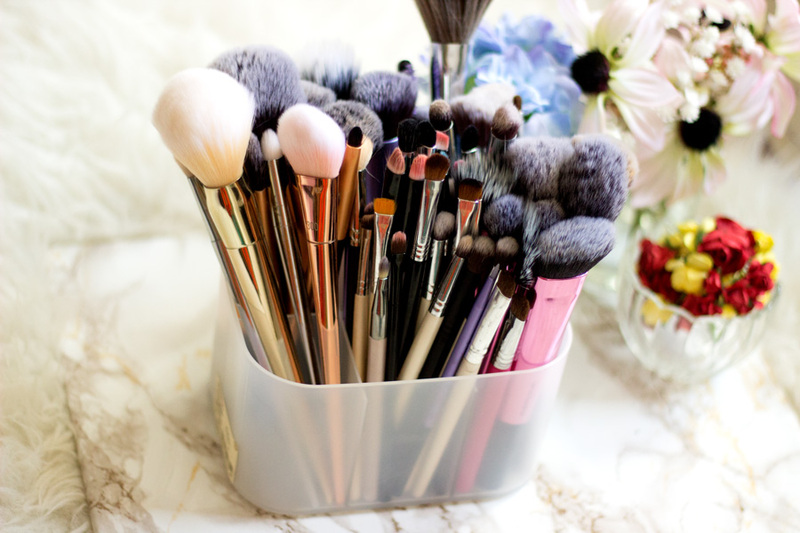 Amazing brush collection! The Real Techniques brushes are such great value. Your brush collection and addition reminds me of my own it's brilliant hahah! I loved reading your favourites and by the sounds of it I need the MAC 217! !